Sergio Mannino Studio announces the launch of its first collection of silk and wool scarves for men and women. Handmade in Italy with the highest quality wool and silk, Sergio Mannino Studio offers this capsule collection as an expression of the studio’s Italian roots and love of drawing, color, and the natural world. 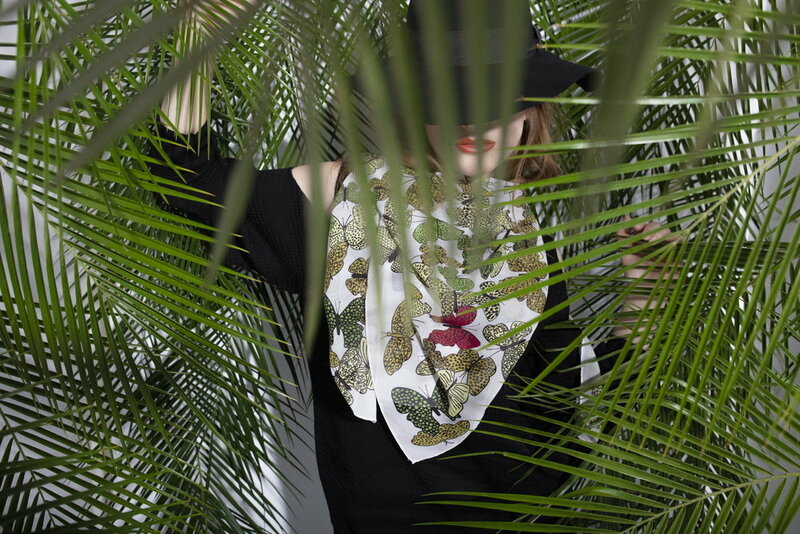 Having trained with the legendary Italian designer Ettore Sottsass (founder of the Memphis group), Mannino has created 100% Italian silk scarves with hand-drawn butterfly motifs in various naturalistic shades of yellow, green, pink, and purple. In addition, Mannino has created wool and silk blend scarves with hand drawn geometric shapes in a darker shade of blue. His aesthetic fuses an Italian sensibility with a contemporary flair.